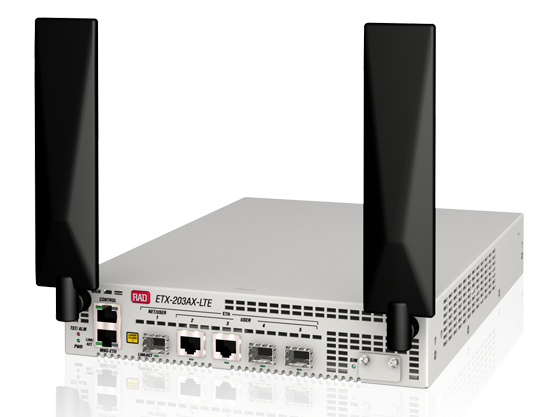 The ETX-220A combines intelligent demarcation and aggregation capabilities to deliver SLA-based Carrier Ethernet services for enterprise and carrier-to-carrier E-Access applications. The ETX-2 line of next-generation IP and Carrier Ethernet NID/NTUs offers advanced demarcation for SLA-based business services, wholesale services and mobile backhaul. ETX-203AX is ideal for carriers, service providers, and wholesale operators requiring advanced Ethernet functionality at customer premises and multi-tenant units (MTUs). Available as a modular demarcation device, the ETX-203AM enables operators to deliver Carrier Ethernet services and L2 VPNs over any network connection. The ETX-205A provides advanced Carrier Ethernet demarcation and offers combo interfaces and power supply redundancy. For LTE/LTE-A mobile backhaul, the ETX-205A is installed at cellular tower and controller sites to guarantee differentiated SLAs. Easily plan, deploy, provision, and maintain SLA-based business and cloud access services with the same “look and feel” over any access. Performance monitoring for L2, L3 VPNs to assure service level agreement (SLA) for businesses. Maintain legacy TDM services over new packet networks. 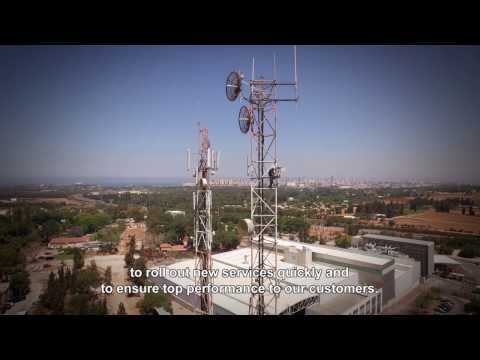 Multi-CoS backhaul with service management and diagnostics, flexible topologies. Frequency/phase for LTE/LTE-A macro and small cells with a fully featured PTP Grandmaster, including built-in GPS, Sync-E, IEEE 1588 and backup. Provide wholesale Carrier Ethernet transport services to multiple service providers with complete visibility and controlled service hand-off between multiple networks. An introduction to two way active measurement protocol (TWAMP) of performance in IP networks, including a comparison with other L3 PM methods. This paper reviews the various methodologies currently available for ensuring Time Of Day (TOD) synchronization in cellular networks. It also introduces RAD’s revolutionary Distributed GMTM scheme, designed to deliver superb TOD accuracy at a lower cost in LTE and small cell networks, by bringing Grandmaster functionality closer to the base station in a small form factor device. RAD has developed an innovative ToP performance monitoring technique allowing carriers and service provides to closely monitor the Timing over Packet distribution in their networks, especially mobile backhaul networks implementing 1588-2008 Precision Time Protocol (PTP), making sure it is working well and supplying the required level of performance. Ensure profitable Ethernet service delivery by streamlining the deployment, monitoring and maintenance of such services. This practical guide describes the various test procedures, along with implementation considerations and recommendations for use at turn-up, ongoing monitoring and other critical points throughout the service lifecycle to ensure quality of service and maintain Ethernet COS.
A RAD-sponsored guide to Ethernet OAM standards, including IEEE 802.3-2005 (previously 802.3ah, Clause 57), IEEE 802.1ag and ITU-T Y.1731OAM is a set of functions designed to monitor network operation in order to detect network faults and measure its performance. As Ethernet evolves from enterprise-level LANs to carrier-class networks and services, it requires automated end-to-end management and monitoring by service providers.